It’s been an interesting couple of years for Dollar General Corp. (NYSE:DG). About two years ago, DG stock looked like a safe play in a safe sector. The dollar store group as a whole seemed to be taking market share. From a forward-looking perspective, Dollar General stock benefited from the idea that it was protected from Amazon.com, Inc. (NASDAQ:AMZN), by virtue of its low price points and focus on non-discretionary items. But disappointing fiscal second-quarter earnings in August 2016 seemed to shatter the market’s confidence. Suddenly, it looked as if Walmart Inc (NYSE:WMT) was taking back that market share from DG and rival Dollar Tree, Inc. (NASDAQ:DLTR). Dollar General stock spent basically the next year in purgatory. In 2018, however, the narrative has switched again. Walmart’s holiday earnings sent its stock careening downward. Meanwhile, Dollar General posted a fine Q4, with same-store sales growth over 3% leading DG stock to rally. And I think that rally is going to last quite a while. Dollar General stock looks attractively priced, trading at less than 16x the midpoint of fiscal year 2018 (ending January 2019) earnings-per-share guidance. The narrative seems firmly back in DG’s favor, which at least should allow the stock to re-test all-time highs of $105 reached earlier this year. There’s a lot of good news here, and the risks to the sector as a whole seem minimized. With DG stock looking cheap, that sets up a buying opportunity. Dollar General’s Q4 earnings report looks strong. Headline numbers don’t look quite as impressive relative to expectations, admittedly. Revenue of $6.13 billion grew 2%, a point less than analysts expected. Excluding the benefit of a 14th week in last year’s fourth quarter, however, revenue rose 9%. Same-store sales of 3.3% look solid. Adjusted EPS of $1.48 was in line with estimates, and down a penny year-over-year. But excluding the extra week a year ago, DG profits still grew. And they’re expected to grow again in 2018. EPS is guided to $5.95-$6.15 against $4.49 in FY17. Obviously, tax reform is helping, as DG’s tax rate is dropping to 22-23% against nearly 34% in FY17. But that aside, Dollar General still is guiding for about 15% EPS growth at the midpoint of its range, on the back of 9% revenue growth, including a 2.5% same-store sales increase. Against a 16x EPS multiple, 15% growth is nothing to sneeze at it. And in this environment, the outlook, and FY17 performance, look particularly strong. 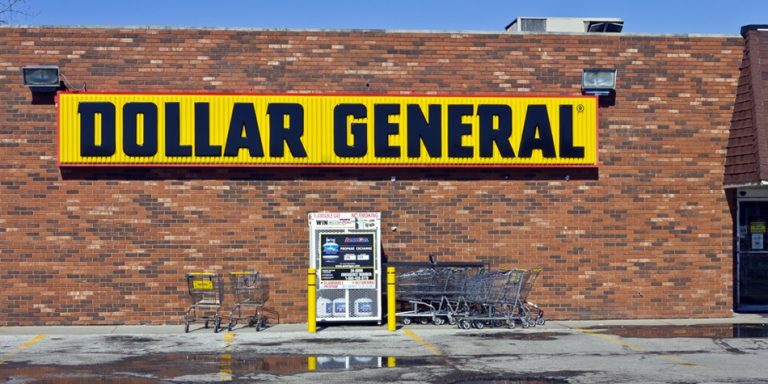 Dollar General is keeping margins intact despite higher labor costs — something very few retailers are able to do at the moment. Same-store sales growth in the 2-3% range isn’t as impressive as it was earlier this decade. But given deflation in many key food categories, it’s still well above grocers like Kroger Co (NYSE:KR). The long-term argument for Dollar General stock before the 2016 disappointment was that it was in the “sweet spot” of retail. It was protected from Amazon. It had limited or zero competition in many of its small-town locations. Many of its sales were non-discretionary, limiting cyclical exposure. That argument probably isn’t 100% returned. In this day and age, no retailer seems completely safe. But recent performance, and the 2018 outlook, suggests Dollar General is back toward supporting that bull case. And that in turn suggests room for upside in DG stock. Dollar General’s long-term goal is to drive EPS growth of at least 10% a year. Generally speaking, depending on the assumptions used in a DCF model, that should support a P/E multiple over 20x. Indeed, investors gave DG stock that type of multiple quite often in the first half of the decade. And it suggests a path to major upside for Dollar General stock should it post a solid 2018. The high end of guidance is $6.15; assigning a 20x multiple would value DG at $123, nearly 30% upside. Obviously, that type of performance isn’t guaranteed. There still are some risks here, as Josh Enomoto pointed out back in August. But at 16x EPS, they are risks worth taking; the market is pricing in a significant deceleration in earnings growth. In fact, the market is basically saying that management’s long-term outlook is wrong. It may be too optimistic to see double-digit EPS growth going on for years to come. But even if that’s the case, DG still has room to gain. Comps of 2-3%, EPS growth of 8-10%, and some modest level of multiple expansion — even to the high teens — suggest double-digit returns from Dollar General stock going forward. It’s why I called Dollar General stock one of the 10 best stocks to buy and hold for the next decade. With DG stock up about 15% since then, it might seem like the easy money has been made. But with tax reform boosting earnings, and a strong Q4 and FY18 guidance, there’s still upside left to capture. DG stock still is too cheap — and still is worth holding for a long time. Article printed from InvestorPlace Media, https://investorplace.com/2018/03/not-late-buy-dollar-general-corp-dg-stock/.